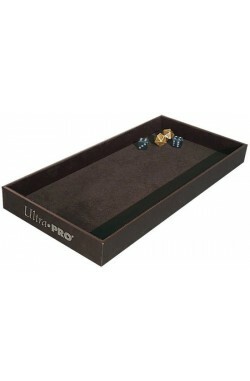 Premium Velvet Lined Dice Rolling Tray. Felt surface for quieter rolling. 2.5cm tall walls keep dice inside. Non-slip foam feet.